Team up with Batman, The Flash, and more of your favorite heroes as they defeat the Penguin and his cohorts in this action-packed novelization that includes an eight-page full-color insert featuring stills from the Animal Instincts Batman animated film! There’s a wild new crime spree flooding the streets of Gotham City! 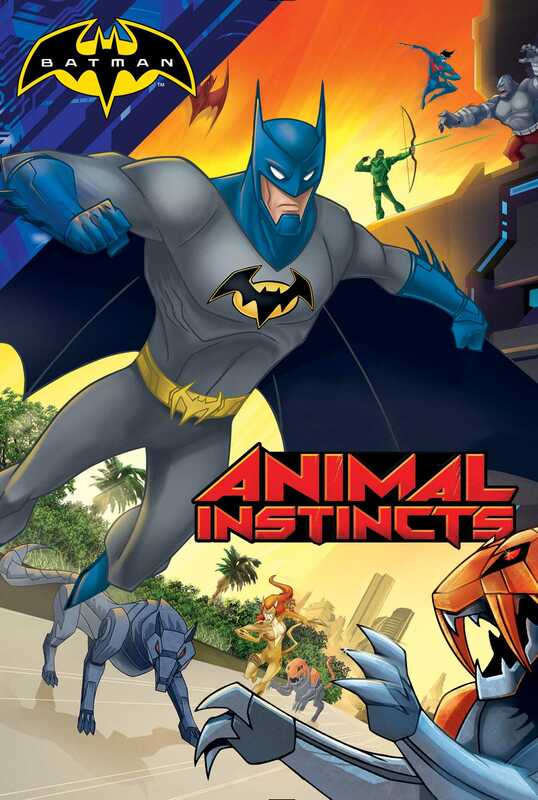 Under the Penguin’s orders, Killer Croc, Cheetah, Silverback, and Man-Bat have been causing chaos with the help of robotic cyber animals, and Batman is determined to stop them. But what’s one hero against an entire zoo full of villains? In order to defeat the criminals, Batman teams up with The Flash, Red Robin, Nightwing, and Green Arrow. Can Batman and his fellow heroes stop the Penguin’s diabolical plans before they destroy Gotham City for good? Find out in this action-packed story that comes with full-color stills from the movie! BATMAN and all related characters and elements © & ™ DC Comics.